Prem Nazir - A look back to sepia era. Sixties and Seventies of 20th century in Indian cinema had saw the drastic change with respect to entertainment. A new medium was emerging to rewrite the future of this amusing world especially for Malayali's, in the span of this black and white history, Malayalam cinema was making efforts to find its existence around the flock. That was the time when Abdul Khader succeeded in alluring many people with his confident, charming, cultured and dignified behaviour. He is non other than our own and every Malayali's pride - Prem Nazir. Today (Jan 16) marks his 27th death anniversary. cinema, laid in rest and the name imprint - 'Padma Bhushan Prem Nazir' speaks it all about the illustrious career he had, while his persona represent every Malayali's true style. His elegant presence around the trees in a song sequence was enough to bring smile on the faces of audience. His gait is still most unique and charming around the mimicry artist. The world record itself refers his excellence in the world cinema. 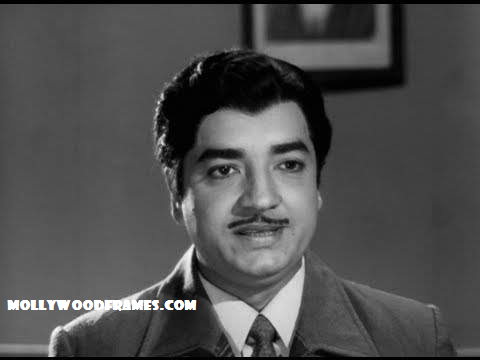 Evergreen Prem Nazir as hero. Prem Nazir's era in Malayalam cinema.